Quick hit this morning - Spent some time working on the first of the Land Raiders after work yesterday to try out the paint scheme on a vehicle. I've definitely found that sometimes a paint scheme that works well on an infantry model doesn't translate well to a large vehicle (and vice versa), but overall I'm glad to say that this scheme seems to work okay! 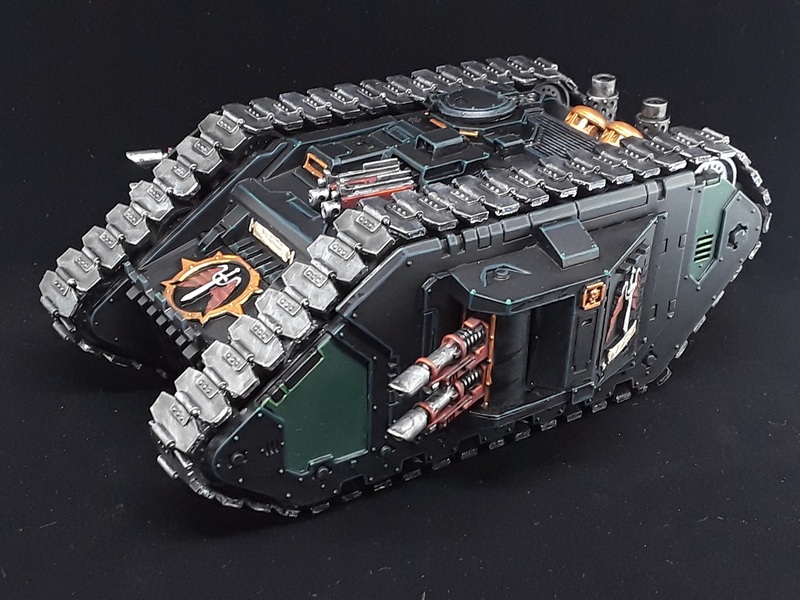 The addition of some red slashes, some black-and-white checkerboard patterns and a fair bit of battle damage, dirt and dust should give the tank much more personality, but as a proof of concept for the underlying paint scheme I really couldn't be happier! 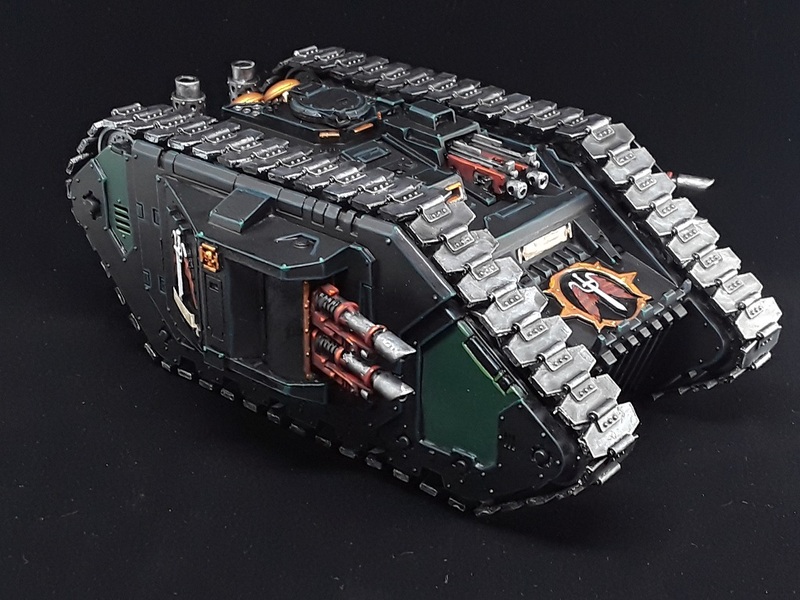 Looking forward to working up the other Land Raider and the Spartan in the same scheme soon! Thanks man! Pretty jazzed by how they're coming along! Yes, that looks awesome so far! I couldn't agree more. Lovely and nice nod to 40k colours using he green panels. Thanks! In some of the HH books they reference the Calibanite side of the legion tended to bring in the deep green to reference the forests of their homeworld, and it definitely helps drive home the DA vibe! I really like the green on black here. Are you going to weather the tracks at least? look at the shiney, shiney!! Haha! Soon to be a dirty mess! Lovely mate. With all the extra stuff you've described to come this beast is going to be quite the sight! Thanks man! I'm thinking I need to bring all of the tanks up to this state and then do the heraldry and weathering on them all at the same time so they stay consistent. That's gonna be a lot of edge highlighting. Oof! 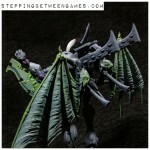 Exodite Eldar - Wasp Assault Walkers Built! 40k Exodite Eldar - Night Spinner painted!